Rockstar Games is releasing a new version of L.A. Noire next month, and it’s coming to Switch. To celebrate, Prima is planning a guide for the game. 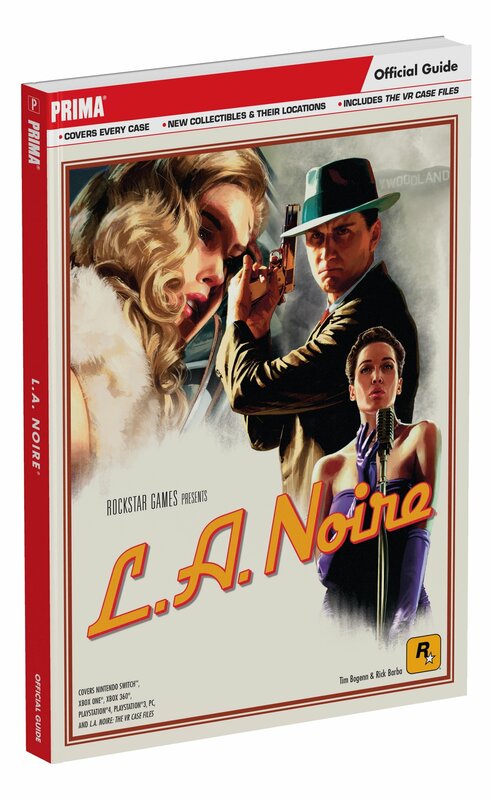 The Complete Experience: Collected in one place for the very first time, we provide in-depth coverage of L.A. Noire in its entirety, including every additional case and all new collectibles! The VR Case Files: Each of the seven select cases featured in L.A. Noire: The VR Case Files is revealed in full detail, with gameplay tips and strategies to take on the role of Cole Phelps in virtual reality. Every Mission: A complete walkthrough to rising through the ranks and solving every case with a perfect score. We’ll guide you from Patrol, through the Traffic, Homicide, and Vice desks, all the way to the story’s thrilling climax. City Maps: Find everything you’re looking for. We identify locations for all Landmarks and Collectibles, as well as critical mission waypoints. Vehicle Showroom: Stats for all vehicles and where to find them, including the hidden cars you will not discover on your own! Discover New Items and Abilities: Find out how to get your hands on every new Detective Suit and where to find every Golden Vinyl and Novel Cover. Detective Training: This is your essential resource to collecting evidence, interrogating suspects, and using intuition to uncover the truth. Plus: coverage of all Street Crimes, Outfits, and everything you need for 100% Completion! Free eGuide Included: Mobile-friendly eGuide for strategy on the go, all optimized for a second-screen experience. The L.A. Noire Prima guide can be pre-ordered on Amazon here. It’s due out with the game on November 14.